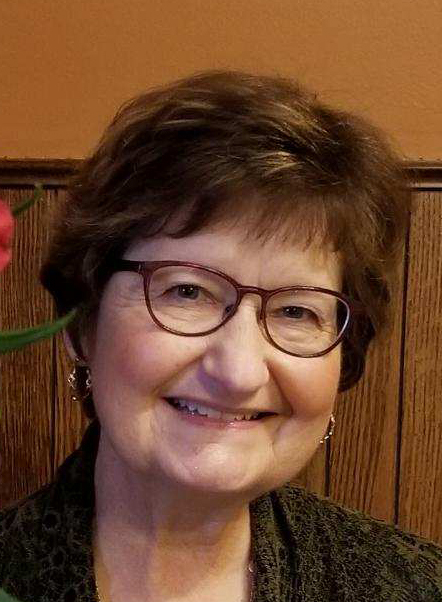 Patricia Anne Sundberg, age 72, of Stromsburg, Nebraska, passed away November 27, 2018 at her home in Stromsburg. Funeral services will be held Saturday, December 1, 2018 at 10:00 a.m. at the Evangelical Covenant Church in Stromsburg with Pastor Heidi Wiebe and Pastor Bob Johnson officiating. Visitation will be held Friday, November 30 from 4:00 to 6:00 p.m. at the church. Organist will be Sue Rosenbaum. Congregational hymns will be "Great Is Thy Faithfulness", "It Is Well With My Soul" and "Children of the Heavenly Father." Pallbearers will be Yancy Krol, Tim Teegerstrom, Scott Lindburg, Phil Burke, Randy Reese, Justin Sunday, Andy Roberts and Jeff Waller. Interment will be in the Stromsburg Cemetery. Patricia was born March 19, 1946 in Hughes Springs, Texas to William Coy and Vera Maude (Brown) Delk. She attended Central High School in Omaha, graduating in 1964. She then attended UNO for one year. She worked for I.N.A. (Insurance Co. of North America) until 1971. On June 1, 1968 she was united in marriage to Eldon Carl Sundberg at Center Baptist Church in Omaha. To this union two children were born. They moved to Stromsburg in April of 1975. Patricia began working at Christensen's Pharmacy for 4 years and then at Polk County Rural Public Power for 27 years before retiring in September of 2012. She continued to work part-time for 3 more years. She was a member of the Evangelical Covenant Church in Stromsburg where she was financial secretary and Trustee. She was also a member of Woman's Club, Beta Sigma, Valkomen Club and P.E.O. She was a board member of the Covenant Cedars Bible Camp, the Stromsburg Housing Authority and the Midwest Covenant Home. She enjoyed spending time with her family and especially her grandchildren. Survivors include her children, Kyle (Jenise) Sundberg and Kori (Greg) Fanning, all of Stromsburg; grandchildren Cooper, Chesney, Cortlyn, Brianna and Dylan; sister Linda Delk of Stromsburg; brother Mack (Bev) Delk of Hendersonville, TN; brother-in-law Arvin (Judy) Sundberg of Omaha and Rich Carlson of Lincoln and a host of other relatives and friends. She was preceded in death by her husband of 35 years Eldon, who passed away July 21, 2003; parents; grandson Calvin Sundberg; brother Sam Delk; sisters-in-law Carolyn Carlson and Sharon Martens. Memorials are suggested to the family to be designated later. Dubas Funeral Home of Osceola and Stromsburg has been entrusted with arrangements.